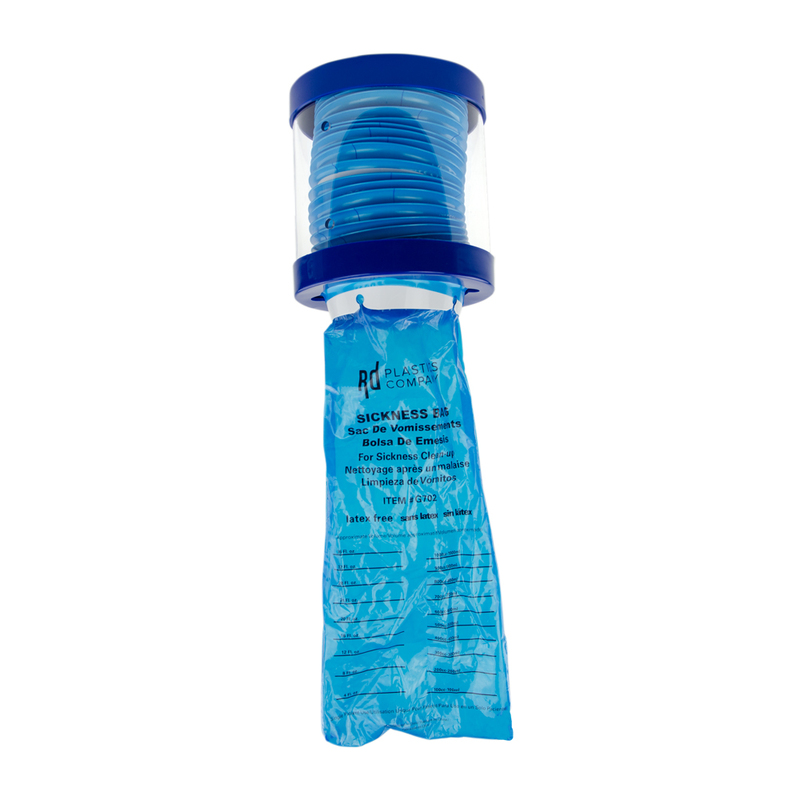 Emesis Bags & Dispenser | U.S. Plastic Corp. This new emesis bag is the latest and greatest bag in the healthcare industry. These bags are used as a sickness bag. Tie the bag off at the ring to reduce contamination and odor. These single use bags can be used anywhere and are perfect to have on hand anywhere.